Increasingly, decision-makers in Canada are recognising that sustainable procurement practices add value to their carbon neutral programmes, zero waste goals, efficiency and innovation while positively engaging their staff and communities. As sustainable procurement practices are relatively new in Canada, municipalities are joining forces to efficiently manage the learning curve. For example, a new report from Reeve Consulting entitled, The State of Municipal Sustainable Procurement in Canada was co-authored by representatives of the Municipal Collaboration for Sustainable Purchasing (MCSP). 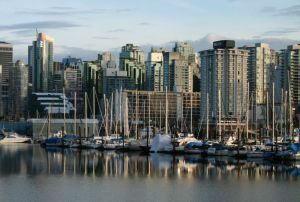 The report details the current state of sustainable purchasing practices in Canada including ratings and rankings of municipal programmes from the MCSP's member cities such as Halifax, Vancouver and Whitehorse. Despite good intentions, and more than a few years of effort, the actual performance of most programmes (as measured in terms of purchasing products with demonstrably superior sustainability features) still has a long way to go. 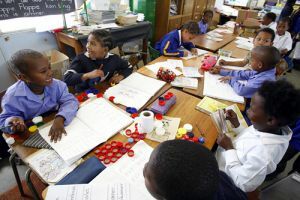 The report examines what is holding municipalities back and includes useful insights for municipal decision-makers, a discussion on the top five emerging trends in this sector and an overview of the main challenges and top priorities for 2012. BUSINESSEUROPE has released its position paper on the European Commission’s public procurement reform proposal, which states that the main goal of the public procurement rules must be to “achieve efficiency in public spending and ensure the best economic value for taxpayers’ money at the same time as opening up the internal market”. In December 2011 the Commission published its proposal on the revision of the legislative framework for public procurement. 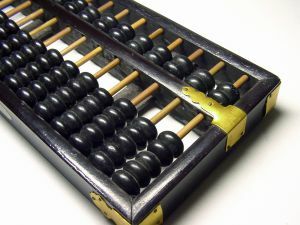 This legislative proposal constitutes one of the 12 levers highlighted in the European Commission’s Single Market Act. BUSINESSEUROPE considers that the main goal of public procurement rules must be to achieve efficiency in public spending and ensure the best economic value for tax payers’ money at the same time as opening up the internal market. Whilst supporting certain amendments in specific areas the organisation has consistently voiced its opposition to a major overhaul of the current legislative framework and urged the Commission to make sure that any revision safeguards transparency, market openness and competitive tendering. BUSINESSEUROPE represents 20 million companies and seeks to ensure companies' interests are represented and defended vis-à-vis the European institutions with the principal aim of preserving and strengthening corporate competitiveness. The first LANDMARK project train-the-trainer workshop took in place in Bonn (Germany) in February 2012. The project is coordinated by ICLEI Europe and aims to enable European local authorities to act as key drivers for the promotion of fair working conditions in global supply chains for certain products purchased by the European public sector. The practical seminar included several activities to further strengthen the knowledge of sustainable public procurement, through the analysis of actual tenders and the draft of key points of a purchasing action. The training also dealt with environmental issues and economical aspects such as life-cycle costing. Participants from the Federal Procurement Agency, where the competence centre for sustainable public procurement is located, attended the workshop. The centre provides training and information to national ministries, federal states and local governments. Participants were drawn from several departments, covering products from armoured vehicles to brochures and services from mail-delivery to consultancy. Several further train-the-trainer events for professionals and tailor-made training for procurers are planned for 2012 and 2013, including events in Barcelona (Spain) and in Portugal where key institutions, such as the Porto Regional Excellence Centre and the Metropolitan Area of Lisbon and the National Institute for Public Administration will be trained. For more information, contact philipp.tepper@iclei.org. 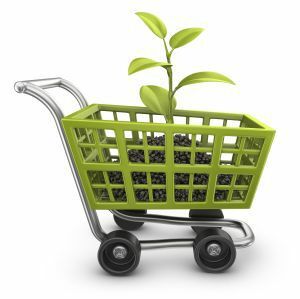 Time to progress to Sustainable Public Procurement? A briefing produced by Client Earth argues that an opportunity is being missed by limiting the remit of strategic procurement to the environmental dimensions of sustainability. Both green public procurement (GPP) and sustainable public procurement (SPP) require procurers to look beyond the function of the goods or services that are being procured to consider their impact, at all stages of the life-cycle, on the world around. 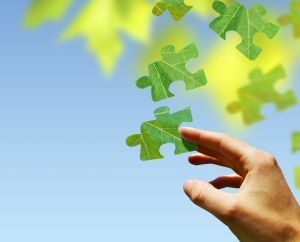 While GPP focuses on reducing the environmental impact of the goods and services, the current revision of the EU procurement legislation widens the focus to three interdependent and mutually reinforcing pillars of sustainable development - economic development, social development and environmental protection. The implementation of SPP will ensure there is a balance between these three strands. The EU’s shift will also raise awareness about the impact on biodiversity and sustainable resource management within the procurement perspective. To ensure decisions enable public procurement to contribute to sustainable development, decision-makers need to widen their focus from GPP to SPP and adhere to the social criteria in procurement policies. The management of the Rwandan School of Finance and Banking (SFB) in collaboration with the International Training Centre (ITC) of the International Labour Organisation launched a Procurement Management Programme on 1 March 2012. The Rector of SFB, Professor Reid E. Whitlock, said the programme aims to promote the procurement sector in both the public and private sectors. He went on to say, "Procurement is a key ingredient in achieving sustainable development in any country, and it's in this regard that SFB in partnership with ITC came up with an agreement of launching a procurement management program in the country". Hisham Labadi, Resident coordinator of ITC/ILO, and an international expert in procurement, particularly in procurement contract management and administration, said ITC has been mandated to carry out capacity building across the world in various developmental areas including the procurement sector. He said that procurement is also crucial in controlling financial resources and to effectively promote decision making in any nation. The online registration and call for contributions period are now open for EcoProcura 2012: New opportunities to deliver sustainable procurement and innovation. 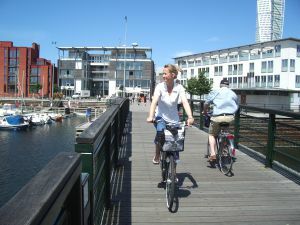 The event will take place in Malmö (Sweden) from 19-21 September 2012. Experts interested in presenting their ideas and experiences in sustainable public procurement and public procurement of innovation encouraged to submit their contributions by 27 April 2012. EcoProcura 2012 will give participants the opportunity to learn about the latest legislation, strategies, guidance and practical solutions. The conference will also promote promote exchange and dialogue amongst representatives from the European Commission and European Parliament, procurers from all levels of government, policy-makers, as well as suppliers, manufacturers, and multipliers. To avoid missing out, register online today. The conference programme will showcase inspirational success stories from both European and international cities, allowing more than 250 participants from countries across the globe to network and share their ideas and experiences. For more information, visit: www.ecoprocura.eu/malmo2012 or contact ecoprocura2012@iclei.org. The European Commission should propose an environmental inspection law, increase its waste ambitions and drive sustainable land use through targets and impact assessments, according to the European Parliament's environment committee. MEPs were voting on a draft, non-legislative resolution on the seventh Environmental Action Programme (7EAP), which will set the EU's environmental agenda to 2020 and beyond. The commission’s proposals are due in autumn. 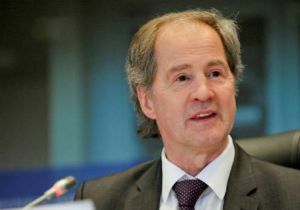 While Environment committee MEPs backed Rapporteur Jo Leinen, a German Socialist MEP’s call for a more ambitious waste policy, calls for a binding energy efficiency target and a reference to green public procurement were softened. The most contentious issue for MEPs was sustainable land use. Socialists, Liberals and Greens narrowly passed an amendment asking the commission to start a debate on targets in this area. The full parliament will vote on the resolution in April. EU environment ministers are due to hold their first debate on 7EAP in the same month. They also want the EU executive to ensure that Europe’s environmental impact assessment law contributes to sustainable land use. The scope of assessments should be tightened and extended beyond big projects, and should take a life-cycle approach, MEPs agreed. The commission has proposed a "light” EIA review this summer. Can procurement managers look beyond ISO14001? Chris Large of the Guardian Newspaper explores the question of how do you tell if a business is environmentally responsible? For many procurement teams this boils down to one question – does the business have ISO14001 (the International Organisation for Standarisation's environmental management standard)? However, just asking this question is not only too simplistic, it is actually counterproductive. Using ISO14001, or any accreditation, as the test of environmental good health has two main problems. It forces a particular approach to environmental management upon a small business which may not suit it. It also focuses the supplier upon getting a certificate, rather than becoming environmentally responsible and sustainable. By specifying ISO14001 certification to any keen SME that wants to be green, the procurement manager is crushing their spirit, not helping them to learn and improve. The real test of environmental responsibility is whether the SME has a live, working Environmental Management System (EMS) that actually changes how the business operates. This EMS then leads to annual reductions in impact. Any accreditation is only testing the existence of this system, just like ISO 9001 tests the Quality Management System. 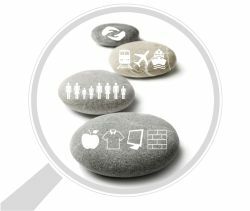 An SME's environmental management can be tested by asking three questions: How is responsibility for environmental management shared across all functions of your business? How do you monitor environmental performance? What improvements have you made to environmental performance over the last year and what are your priorities for the coming year? When this sort of dialogue is opened with suppliers, the process becomes much more collaborative. These qualitative answers allow excellent SMEs to be recognised above those that do the minimum to achieve the accreditation. The Kenyan Government has committed to ensuring that 10 percent of all Government procurement be allocated to the youth to further empower them. President Mwai Kibaki also directed the Attorney General and the Minister for Finance to remove the legal bottlenecks that hinder the youth from accessing Government contracts. Noting that the Youth Enterprise Development Fund and the Ministry of Youth Affairs and Sports cannot deal with all youth issues single-handedly, President Kibaki expressed the need for concerted efforts from all Government departments and the private sector. Consequently, the President asked all ministries to ensure they include youth focused targets in the performance contracts of all their departments. "As a government we will continue supporting the youth because they are our nation's best hope," President Kibaki said. The Head of State was speaking during celebrations to mark the fifth anniversary of the Youth Enterprise Development Fund.